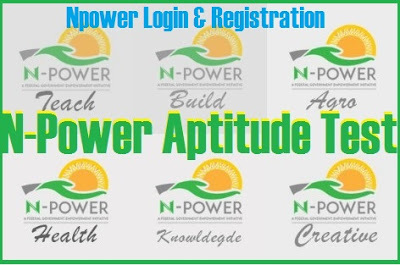 Here is a guide to Npower Registration 20 18 at www.npower.gov.ng – Npower is a scheme set up by the federal government of Nigeria to help the citizens develop and build up skills that will help in the long run of life. If you wish to Apply for the Empowerment Program, Then read this article to the end. As we all know that the N-power Programme is a government initiative to reduce the rate of unemployed youths in Nigeria, One Shouldn’t be left out of this opportunity as Both Graduates and undergraduates can Apply. To participate in the Empowerment Programme, you have to be ready with Some Requirements Which is needed During the Registration and ofcourse after the Registration. 2. An active Email Address. 6. NYSC Discharge Certicate and number. In Addition, the Empowerment Programme is for young Nigerians between the Age of 18 – 35 years old. to develop all the skills you need to be the best you can be. including an Ordinary National Diploma (OND) or Nigerian Certicate in Education (NCE) or as may be specied by the programme. The Major Categories of the Programme one can apply for. -Then Check your Email for a Verication Message. -Click on it to verify your Registration. -sign in and Enter Your Registered Username and Password. -Then Click on the Different Programmes and select a Programme that best suits you. -At the Button of the Programme of your Choice, Click On Apply. -A page comes Up for you, carefully the form with accurate Information and documents to support you Application. -When you are done with the Form, Click on “Submit”. Application.After 48hours, you will be Notified by Email and your Portal profile whether you are eligible for the program.